From my "Love 'em Little" collection! 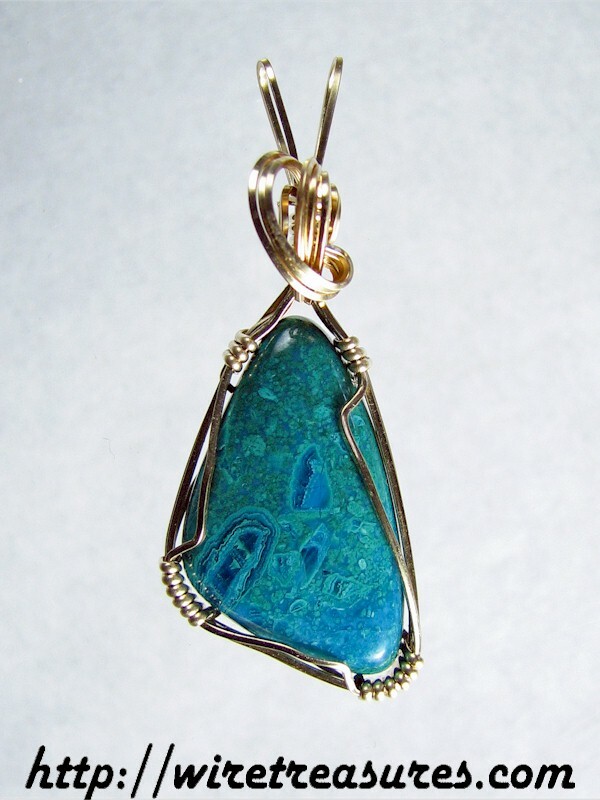 Here's a teeny-weeny pendant featuring a triangle-cut Chrysocolla cabochon. The 14K Gold Filled wrap catches your attention first, then it's drawn immediately to this colorful little cabochon. Wow! Perfect for your young lady, or maybe even yourself! This pendant is 1-3/4 inches high and 5/8 inches wide. You are visitor number 730 to this page.